We continue our worship with the sermon! 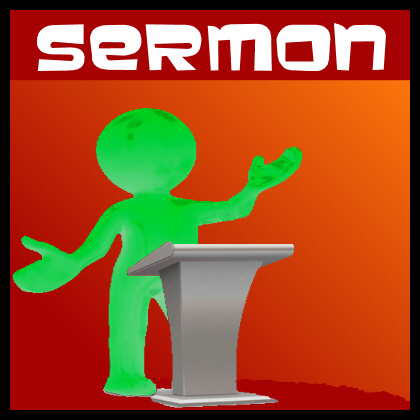 Did you know that the sermon is part of our worship – both the delivery and the hearing of it? Our theme today in this new series is “I will share my faith” and our key text is taken from Luke 19:10 “For the Son of Man came to seek and to save the lost”. Why did the Jesus say that He came to seek and save the lost and how did He do it and how does he still do it today? So why are we to share our faith? Hopefully by the end I will have at least answered those 2 questions a little, given the time we have. Let me start our journey today by first telling you my testimony. That is a good starting point and is what most people probably consider today as evangelism. Before I do though, I will say this. A Christian testimony is more than just saying how a person became a Christian. It should also include why the person became a Christian. Have you even thought about your testimony and why you became a Christian? So here is mine! I am sure you have all heard kids in Walmart yelling out “Why?” to their parents. We all have, I am sure, questions we want to know the answer to. Why? The question I am often asked is “You are a Christian. Why is it so?” My father was and remained throughout his life a convinced agnostic and in the few conversations we had about religion and Christianity, he could never understand why it was, that I could not just admit that I would never know if God existed or not, far less a God who was personally interested in me. My reply as ever, was that the very question “Why is it so?” needed to be answered, in order for me to be satisfied. So why I am a Christian? The reason that I am a Christian is not because I chased God, but rather He chased me. Unknown to me at the time, God was chasing me and following my every path with the urgency of a lover after the beloved. How did that happen? As a teenager I was actually invited to a church and I subsequently accepted that invitation. I thought “Ok! If church is so dangerous, let’s go for a bit of danger!” So I rebelled and went to church, and after a few weeks, became a Christian. Much to the dismay of my father, who as I said could never understand why I would want to be a Christian of all things! So at that church, it was the first time I had heard of God’s love for me, that I was indeed apart from God and that this God had been on a mission to seek me, and change me from being lost and apart from Him to being found by him and accepted as His child! Amazing news to me as a teenager back a long time ago now! Additionally, it was not in my search for Him that I found Him, but rather through His search for me that I found Him! It was that there, that I discovered there was nothing I could do in order to be reconciled to God, but that He had done it all, when Jesus died on the cross 2000 years and rose again from the dead! So what is the answer to why am I a Christian? I am a Christian, not through anything I have done or my own pursuit of God, but rather I am a Christian because of God’s constant pursuit of love after me. Continuing with our topic for today about Sharing our Faith, What is to be the goal or aim of a person being a Christian – a dedicated follower of Jesus Christ? Is it praying a lot? Perhaps it is reading and memorizing the whole Bible? Perhaps it is by doing lots of evangelism, sharing the faith avidly or doing lots of work for the church? As admirable and important as those things are, they are not the prime focus and goal for those who call themselves “Christian.” How is that for a WOW? 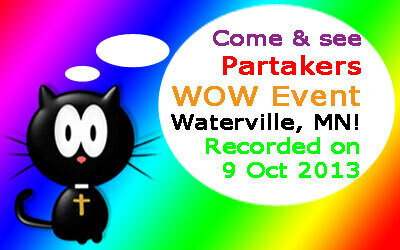 Today we have Part 1 of 3 of a WOW Event held in Waterville, Minnesota on 9 October 2013... Play the video to see what happens! Enjoy! Today we have another short interview about our time there! 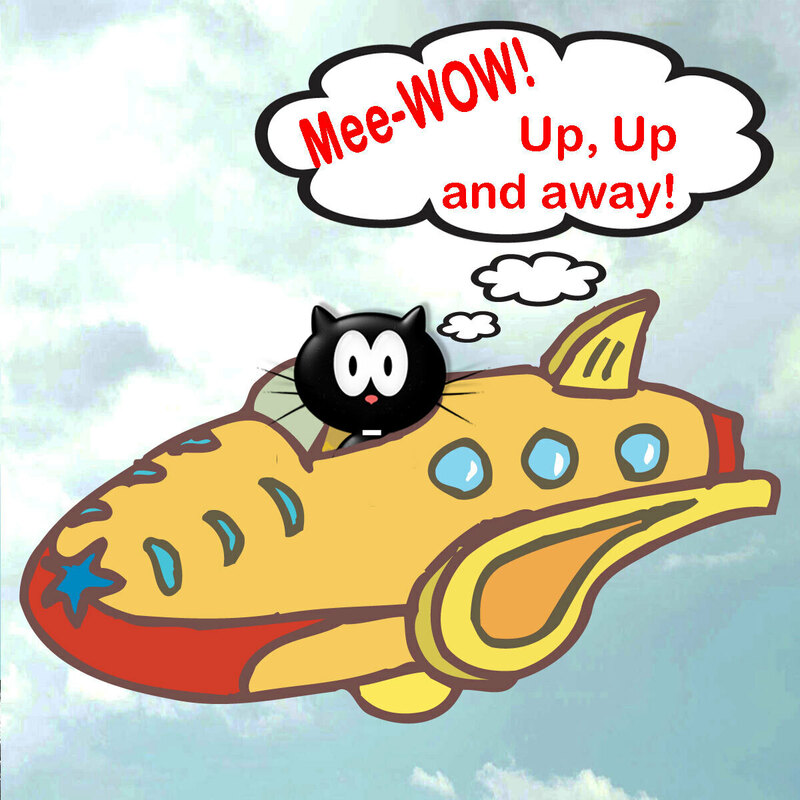 Play the video to see what happens! Enjoy! Today we have a short interview about our time there! 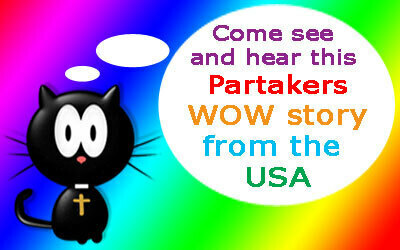 Play the video to see what happens and to hear of how God was glorified! You will be amazed!